These grilling and entertaining spices make the perfect present for your favorite cook! 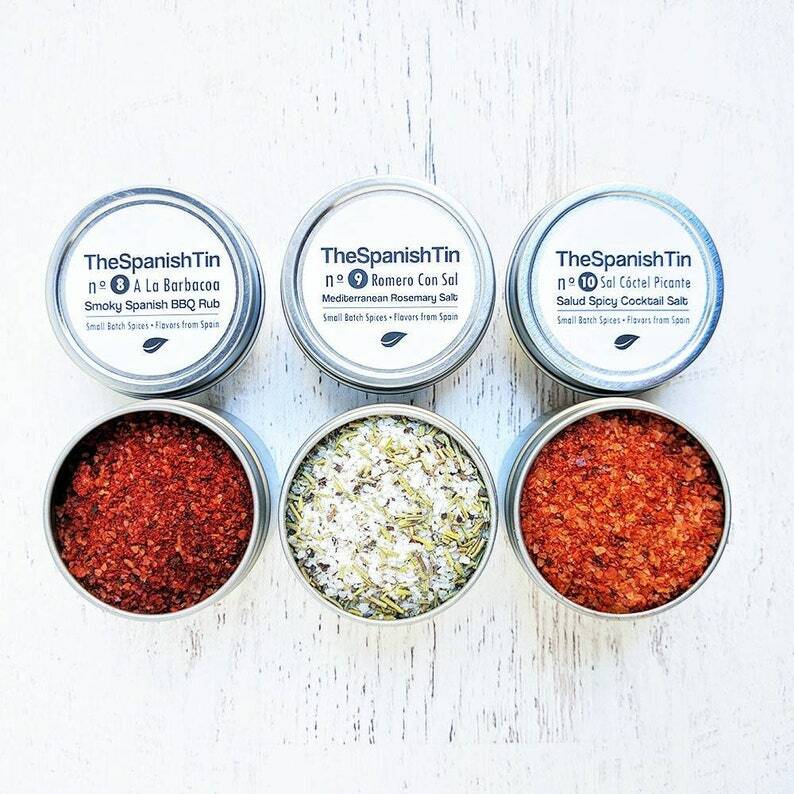 Our artisanal spice set features three mouthwatering tins: n8 Smoky Spanish BBQ Rub, n9 Mediterranean Rosemary Salt, and n10 Salud Spicy Cocktail Salt (great for Bloody Mary's & cocktails). 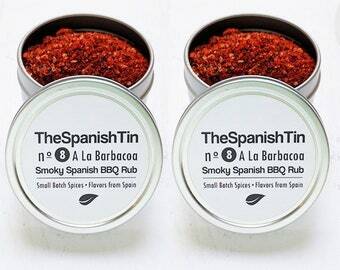 For amazing BBQ, our Smoky Spanish BBQ Rub is the perfect addition to your spice cabinet. 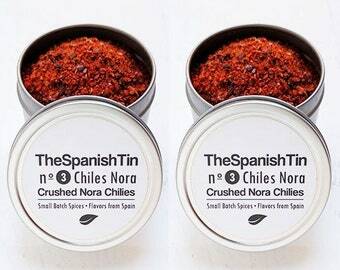 This blend contains Hot Smoked Spanish Paprika, Nora Chilies (also from Spain), two types of Mediterranean Sea Salt, and ground Smoked Black Peppercorns. 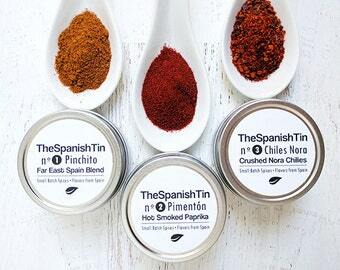 Seasoning works especially well with grilled meats (ribs, chicken, shrimp, beef). Enjoy wings/ribs with the family during football season! Quick tip: Rub directly onto meat and grill. 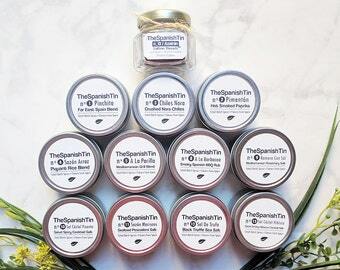 Searching for a unique foodie gift, try our festive Salud Cocktail Salt which blends Nora Chilies (rich mild earthy flavor) and sea salt for a spicy garnish. Perfect for margaritas, bloody marys, micheladas (beer w/clamato) and other (non-alcohlic) cocktails. This cocktail salt adds color, flavor, and texture to drinks, or sprinkle on tropical fruit. Quick tip: Run lime wedge on glass rim, put cocktail salt on small plate, dip rim and enjoy! ♥Allergen info: Spices may have come in contact with equipment that processes dairy, eggs, soybeans, peanuts, tree nuts, wheat, and sesame. 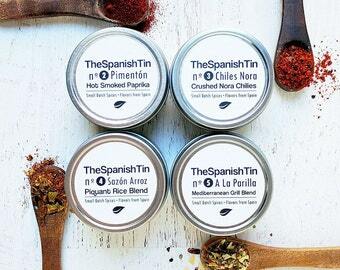 All tins are labeled with this important information for your safety. NO GMO'S. Awesome product! 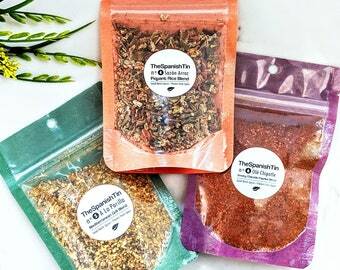 Gave these spices to my dad for father's day and he was thrilled!! He said that he used the rosemary salt the night he opened the gift on corn on the cob and that it was incredible. 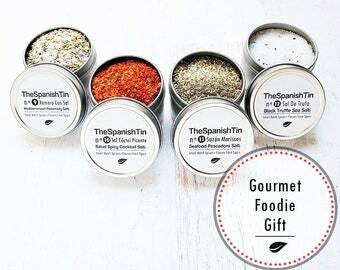 Top marks all the way and made for a super cool gift! Thank you! 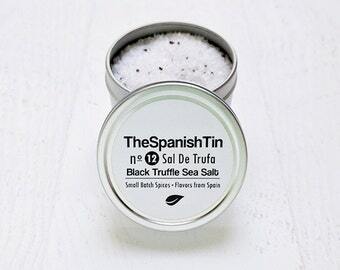 Love shopping with The Spanish Tin. 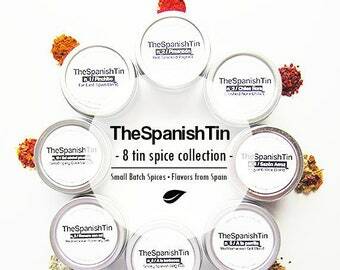 These spices don't disappoint! Flavorful & fragrant. Nice packaging & fast shipping.